Romantic and inviting, the Inn at Harbour Ridge Bed and Breakfast boasts a contemporary setting with modern and French d�cor. 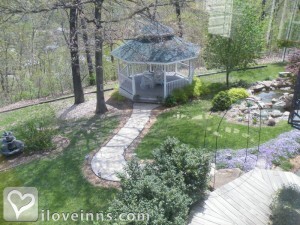 Poised on a ridge overlooking Lake of the Ozarks in Central Missouri, there are almost two well-landscaped acres with oak trees, goldfish ponds and an herb garden. 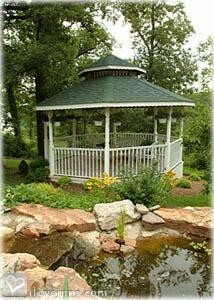 A gazebo near the waterfall is the perfect place for a wedding. Osage Beach is conveniently located between Kansas City and St. Louis. 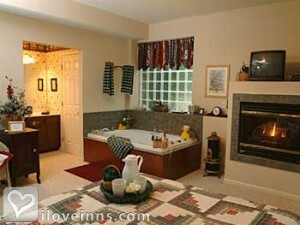 Select a delightful guest bedroom that may feature a fireplace, whirlpool, private deck or a patio with a hot tub. An early-morning coffee tray is delivered to each room. Indulge in an incredible breakfast in the solarium dining room. Swim in the cove or sun on the dock. Special requests are granted with pleasure. Payment Types Accepted Include Discover, Travelers Checks, Personal Checks, American Express, Visa and Master Card. 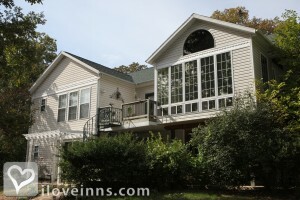 This property has 4 total guest accommodations with private bath, 5 with fireplaces, 3 with hot tubs, 2 with whirlpools. The types of beds available include King. Private hot tubs, jetted twosome tubbies,Fireplaces in all guestrooms, zoned for privacy, candles, wine glasses provided, special planning for your special getaway. Composting, worm farmer, grow our herbs and some veggies. Only ofer fresh guest towels per guests' request. Two night stay on weekends and holidays. One night reservations are accepted Sunday through Thursday. There is a $50cancellation charge. Should the cancellation be made within the last ten days prior to check in, the first night's rental is the guest's responsibility if the guestroom is not able to be re-booked. No shows are charged for the full reservation. The dates this property will honor the certificate are November-March, Monday-Thursday excluding holidays, anytime at the last minute..
Our wish for our guests is \"happy hearts.\" These Appily Ever After Apple muffins tie right into that theme. I think you\'ll enjoy this dense muffin that freezes well. A double stack of cinnamon raisin bread on top of a sinfully delicious whipping cream custard base! Romantic Inn for a Honeymoon!!! I could write a book abotu how great Sue and Ron are at the Inn at Harbour Ridge, but by reading all the reviews you will see posted, they are truly the best. Whatever great experience you are looking for, they will take care of. I highly recommend the room wiht the starlit hot tub...AMAZING!!!! There is nothing Sue and Ron have left out. They have everything you can think of to enjoy your stay year round! We love this place. It's always clean, neat, perfectly decorated and the meals are fabulous. 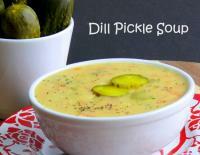 Ask Sue for a dinner suggestion and she will find the perfect place for your taste. She even has games for couples to play in the room. Very comfy and cozy. My wife and I stayed here for our anniversary. The facility was very nice, comfortable and clean. The house is beautiful. Sue, Ron, Ditto (dog) and the other guests made everyone feel welcomed and comfortable. Breakfast was absolutely delicious. 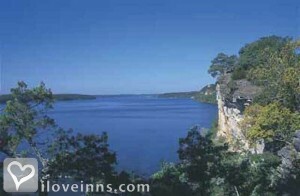 If your in the Lake of the Ozarks area, this is a great place to stay. We will be back to visit again. My husband and I stayed two nights and had a great time. 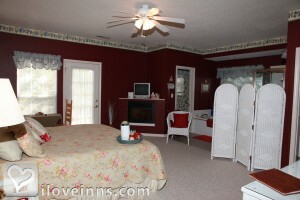 The food was fantastic and the inn, with all the extra touches was the perfect getaway for us. Sue and Ron are WONDERFUL! 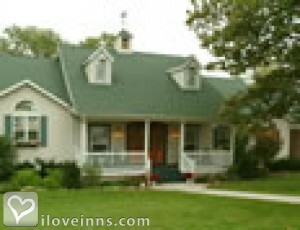 The Inn was clean, comfortable, well maintained, food was great and the hospitality was wonderful! I wouldn't stay anywhere else! You must eat at Jake Culpepper's Cattle Company. It is close to the Inn the dinner is great and the prices aren't bad. Ask Sue the innkeeper. She can tell you where it is. I couldn't have asked for more out of a B&B!! The weekend was so relaxing, we did not want to leave!! Ron and Sue spoiled us with wonderful hospitality and food. The inn was so clean and beautifully decorated. I would highly recommend this place to anyone looking for a relaxing getaway. We stayed there for our honeymoon and finally got to go back recently. Lots of privacy, top-quality accommodations, and Sue puts on the best breakfasts ever. 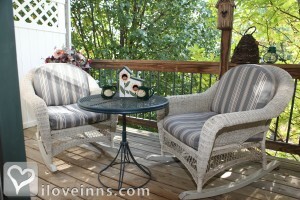 She's very hospitable and friendly, and the Inn was a great place for a romantic getaway! There's even a little fridge & microwave in the common area if you like to bring your own snacks. Private hot tub is also fun! Easy to find, as it's just near Tantara. We visited looking for some rest and relaxation and got what we were looking for. It was amazing. The innkeeper was a gracious host, the room and bed comfortable. We stayed in the captains quarter's which had a private hot tub outside. I think this would be an ideal location for a couples retreat/golf weekend, or ladies shopping spree. The inn had a great common space for relaxing with other guests--it seemed as if it would be like entertaining in your own home yet someone else makes breakfast! Sue and Ron do everything right! 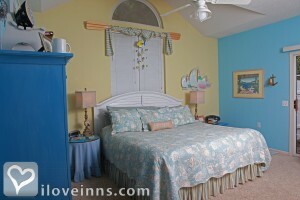 From the clean and well decorated rooms to the wonderful breakfasts they are fabulous hosts. Sue has thought of every detail to make your stay what YOU want it to be. We have stayed at many B & B's in Missouri and Arkansas and always come back to the Inn at Harbour Ridge because they pamper you! Before meeting my family of 23, (12 of them 10 and younger! )my husband and I booked a night for just us. Boy, was it worth it! Peaceful, serene, calm, private and wonderful hospitality. Breakfast was such a treat and I know we'll go back. Hoping to take friends/family with us next time. My husband and I enjoyed our weekend away. This was the best we could have asked for. Fabulous food, the softest sheets in the area and a wonderful atmosphere. 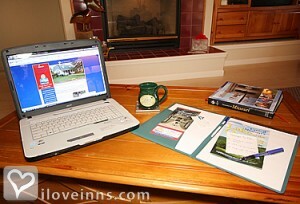 Sue is wonderful at what she does, and it makes all the difference in the B&B experience! We went for a week for our honeymoon and it was fabulous! I had never been to a B&B before, so I was a little nervous about the experience. We could not have picked a better one at the lake, or anywhere else. The rooms are spacious and every detail is taken care of. We didn't eat lunch until 2 o'clock each day because the breakfasts were so good and there was so much of it! If you are deciding where to stay at the lake, don't consider anywhere else! What a nice quiet inn with wonderful amenities. 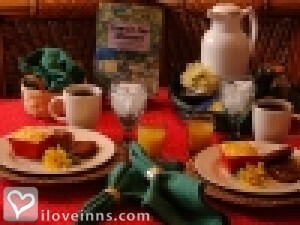 Breakfasts are superb and hostess is very friendly and informative of what the area has to offer. So many extras that I've never seen in other B&B's. Grand experience!! My husband and I recently stayed there last weekend and got married! It was everything we wanted. Sue and Ron are the nicest people. The privacy was awesome. We stayed in the "roll in the hay" barn. Loved every minute of it!!! We will return. She also served us breakfast each morning, that was soooo good!!!! The Missouri Life Magazine (2/06), Lake Sun Reader's Choice Award (9/06).